Lewis and Clark were supposed to recognize that the Tetons needed to be feared... But Clark, in particular, refused to notice their efforts. When they served roasted dog as the main course, he disdained it. Clark, a voracious carnivore... could not bring himself to look on dogs as food. Oddly enough, Lewis, who was entirely attached to Seaman, a companion dog he'd purchased in Pittsburgh, had no such misgivings, to the detriment of hundreds of dogs enroute. Jefferson's America: The President, the Purchase, and the Explorers Who Transformed a Nation "According to the Kennel Club of the United Kingdom, the first dog show was held in 1859. Sixty dogs were entered into this show, all sporting dogs, and classified into two groups - pointers and setters. The idea spead like wildfire, and the 1863 dog show at Chelsea included over one thousand entries. A decade later the official Kennel Club was founded in order to regulate dog shows and to maintain a studbook. Perfecting specific breeds for competition in what became known as conformation had begun, though some of it's negative effects would not be recognized for years." "no recruit to be dismissed from the drill, till he is so expert with his firelock, as to load and fire fifteen times in three minutes and three-quarters." THE MINUTE MEN COULD LOAD AND FIRE A MUZZLE-LOADER IN 15 SECONDS. The First Fight: Myths and Realities of the American Revolution The Kennel Club banned the breeding of parent dogs to their offspring and the breeding of sibling dogs since 2010. Questions to ask of a breeder and much more. The author says the smartest breeds of adult dogs have the mental capacity of a 2.5 to 3 year old child (Border Collies, Poodle... Golden Retriever... Labrador Retriever). The rest have the capacity of a 2 to 2.5 y.o. child. Something to remember when training your dog for turkey. Stanley Coren presents decades of scientific research on dogs. Dogs can interpret human hand gestures better than the great apes. Dr. Brian Hare ,the Associate Professor of Evolutionary Anthropology, shares the research they have done on dogs at Duke University. The focus of this book is not only to depict the art of a craft almost lost, but also to display the efforts of the best, those masters who set for all time the standards of ingenuity and craftsmanship in luring the most cunning bird ever created. For the sportsman who thrills at the booming gobble of a spring tom during mating season and wants to extend that exhilarating feeling, Steve Hickoff’s Fall and Winter Turkey Hunter’s Handbook offers the perfect remedy. Hickoff examines fall turkey behavior and vocalizations and provides details on locating, scouting, and calling fall gobblers, with tips for mapping flock patterns and identifying changing flock composition. Also discussed is the little-known strategy of hunting turkeys with dogs, using them to find and flush flocks. by Lawrence B. (Lon) Smith First Edition 1946 A turkey dog... is of no particular breed, nor yet of any particular strain, he just happens. From a common pup… he suddenly becomes a prominent citizen of this particular community, and in some cases, for miles around... For this reason most good turkey dogs are insignificant as far as physical proportions go, but most of them are colossal in sagacity and turkey lore. See below for complete description. Brian Lovett examines modern turkey hunting and offers concise, in-depth explanation of how to scout for, set up for and kill wary longbeards. He goes on to explain how turkeys react to human pressure and covers the essential skills of calling. Research strategies for hunting different times of day, aggressive versus subtle approaches and troubleshooting tough birds. Paper-Back Book. 195 pages. A cult classic on turkey hunting. Many people who hunt turkeys do so with an attention to detail; a regard for strategy, tactics, and operations; and a disregard for personal comfort and convenience. As with all cultists, it never occurs to them that they may be unconscious to the rest of the world, blind and deaf to logic and reason. So, they continue to walk along their different road, in step to the music of a different drum. 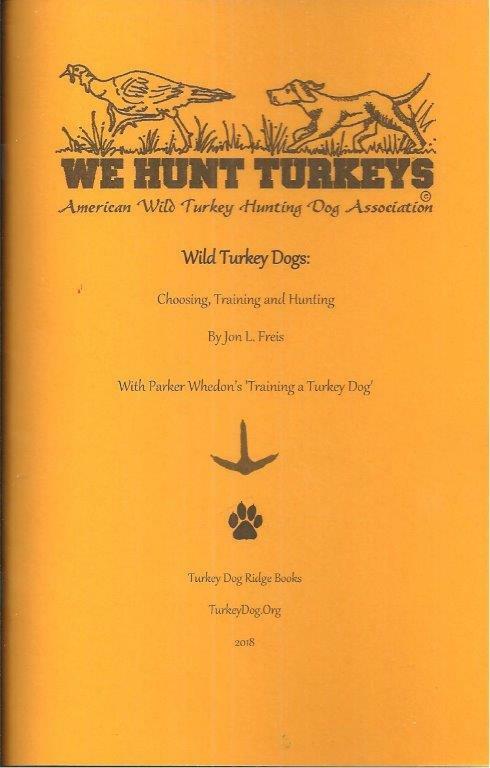 Wild Turkey Dogs: Tips on Choosing, Training and Hunting with 'Training a Turkey Dog' by Parker Whedon. Includes secrets from 100's of turkey dog hunters. 5th Edition, Revised March 2018. Of English Dogs - earliest known work on dog breeds (Vintage Dog Books Breed History Series). Originally written and published in 1576, this is a reprint of the earliest known work on dog breeds. Translated from the original Latin, it lists all the dog breeds of the time and charts their type and development. As the only known work from the period it is of great significance. The forebears of all modern breeds can clearly be seen in the names and types of dogs described, as can many breeds that are now lost forever. Only a Dog: The True Story of a Dog's Devotion to His Master in World War One (Paperback). This is a touching true story from the First World War, retold through the dog’s eyes. When the soldier dies, Little Army is inconsolable and remains by his master’s grave, refusing to leave. There he stays, comforted only by the smell of his master’s trench coat which is given him to lie on and keep warm. This is Army, the faithful Irish Terrier’s story. Soldier and Dog now lie side by side at Armentieres in Flanders. Hunting in the Old South: Original Narratives of the Hunters. "But there is another kind of sport better suited to the winter months before the gobblers would answer the call; and this is, hunting them with a properly trained turkey dog. A well-trained dog will never range very far from his master till he finds the warm scent of a single turkey or a flock. Then he will start upon the trail without giving tongue until he finds the game. He will then run on, and by continual yelping, compel it to ascend…"
"Any dog who stalks, freezes, and has a nose can be trained to point turkey... Scott and Fuller observed that any dog can be trained to be a setter provided it... and another who has an inbred line of “turkey dogs. ..."
"When a good turkey dog winds a gang of turkeys, he follows the trail with surprising speed until he breaks into their midst, barking furiously. ..."
And a dog with flushing, pointing or retrieving skills will greatly improve ..."
"The turkey dog is the key to fall hunting in Virginia. The typical turkey dog is an English pointer or setter in which the pointing instinct has been ..."
"Real aficionados, however, use specially trained turkey dogs. 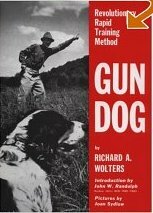 A turkey dog is expected to hunt for the scent trail of a flock, follow that scent, ..."
Meditations on Hunting is the most quoted book in sporting literature. It is the finest work on the essence and ethics of hunting. Today when both hunting and fishing are often condemned, Meditations takes on an even greater significance. Ortega points out that life is a dynamic interchange between man and his surroundings. Caution: Once you read this, you will never think of wild turkeys in the same way you used to, guaranteed. This book is known to make wild turkeys think you're a turkey, and cause hunters to think they're wild turkeys. ...a dog's sense of smell is somewhere between 10,000 and 100,000 times as sensitive as our own... As humans, we can recognize as many as 4,000 to 10,000 distinct odors. Dogs can recognize 30,000 to 100,000. In September 1815, hunting near where the Osage River meets the Missouri, the French explorers who founded St. Louis "were overjoyed to see buffalo tracks. Occasionally they killed antelope and wild turkeys." In 1832, the Sioux chiefs had "A feast of dog meat cooking in six or eight kettles that would be served in wooden bowls. The whites kept up a brave front but had difficulty partaking of the meal, tasting from the bowls a few times, then passing them to their hosts." Before Lewis and Clark: The Story of the Chouteaus, the French Dynasty That Ruled America's Frontier "What we know about dogs in Native American societies is limited. But we do know that the dogs brought by the Spanish were much different in character and breeding from those already present"
In his third book, Grand Days in the Turkey Woods, acclaimed nature author and outdoorsman Mike Joyner continues on his journey in pursuit of the wild turkey. From preparation to the hunt, Joyner shares a first-hand account of each adventure in the turkey woods. Each chapter weaves personal experiences with tips and strategies for a successful hunt. Continuing where Hills of Truxton: Stories and Travels of a Turkey Hunter leaves off, acclaimed nature author and outdoorsman Mike Joyner gives fans Tales from the Turkey Woods: Mornings of My Better Days, a second rousing and entertaining glimpse into the adventures of a turkey hunter. From English Aristocrats, to Sandhillers, Pineys, Clay eaters, Mudsills, Greasy mechanics and dirt farmers. "Surely there is no place in the World where the Inhabitants live with less labor than in North Carolina. It approaches nearer to the Description of Lubberland than any other, by the great felicity of the Climate, the easiness of raising Provisions, and the Slothfulness of the People." John Muir, Ding Darling, Aldo Leopold, Rachel Carson, Chico Mendes, Billy Frank Jr., Wangari Maathai, and Gro Harlem Brundtland have little in common except that they all made a lasting mark on our world. They spoke out to protect wilderness, wildlife, fisheries, rainforests, and wetlands. They fought for social justice and exposed polluting practices. They marched, wrote books, testified before Congress, performed acts of civil disobedience, and, in one case, were martyred for their defense of nature. 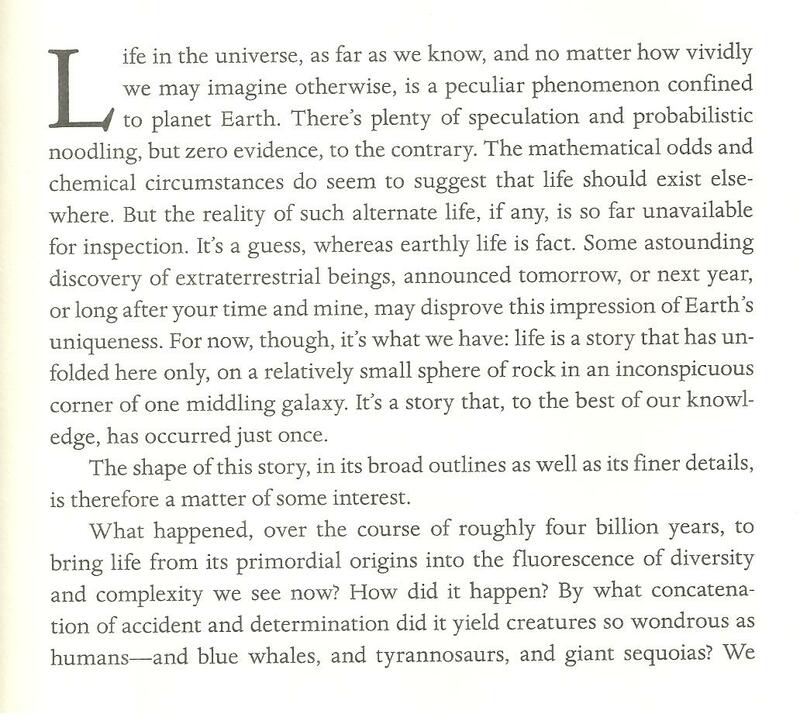 you'll want to read this. I read this years ago, about logging off Wisconsin. Someone in WI wrote to his son back East, around 1865, regarding logging the virgin White Pine: "If you want to see these Giants before they're all cut down, you better come now." The life cycle of turkeys is driven by the length of the day. The life cycle of insects is keyed not to changes in sunlight, but to the air temperature. As springtime temperatures rise earlier every year, the insects may be hatching out before the poults can benefit. Two life cycles, one driven by temperature and the other by light, are at risk of decoupling. A hunter’s mindset allows you to learn to identify the difference between what is real and what is fear, and then take that knowledge to push past barriers to reach your desired outcomes. When you think like a hunter, you gain a heightened awareness, tap the primal instincts from within, and can take down your most meaningful targets. With predatory consciousness, you’ll understand how to be present at this moment in your life so you can recognize opportunity and know to seize it. Turkey dog hunters find solitude in nature, so we can appreciate what Chris Knight found in the wilderness, but a lot of this is just strange. Like how his camp was a 3 minute walk from the nearest cabin, yet no one found it for 27 years. 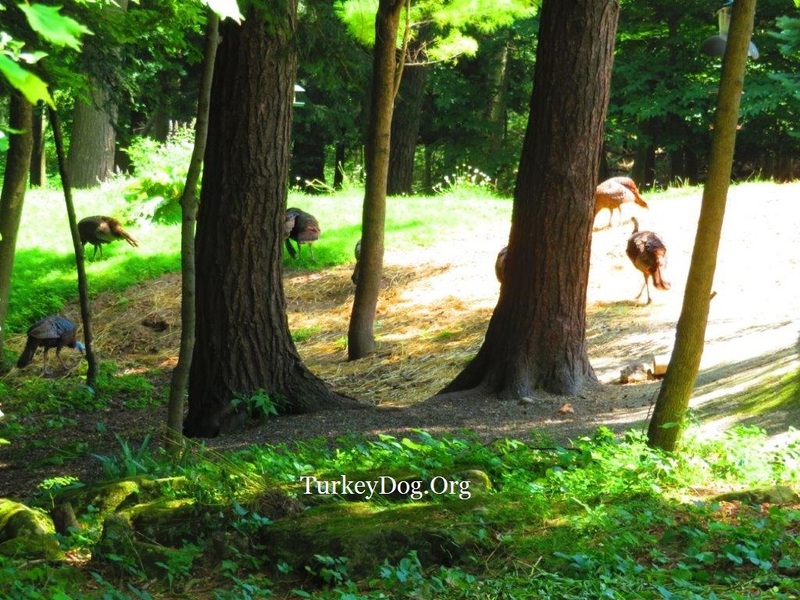 There mustn't be many turkey dog hunters in Rome, Maine. I read this in one day. Spring turkey hunters target the lone gobbler, who might have another hen or two with him, while fall turkey hunters have to target the whole flock. This book explains the dynamics of flock behavior, and how turkeys use it to greatly enhance the individual's protection. 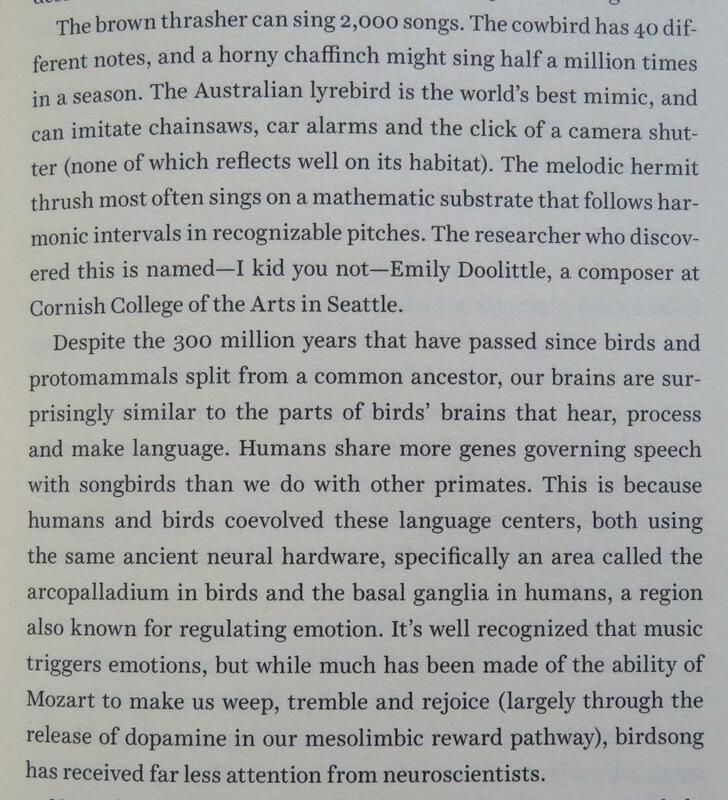 Birds have not been known for their high IQs, which is why a person of questionable intelligence is sometimes called a "birdbrain." Selected by Forbes.com as one of the 12 best books about birds and birding in 2016. Libraries lacking a good non-field guide bird reference should have a copy of this volume. Bird lovers and libraries with comprehensive ornithological holdings should own copies. Wondering about wild turkeys and other things? Read this: Coming soon. "My name is Diomed and I was born April 22, 1883, in Richmond, Virginia. I am a setter dog. My earliest recollection of anything is... There was the doctor, with his ever-sharp knife, whittling away upon his latest turkey-call, or carving his latest powder-horn... and, old as he is, I don't intend that any dog here shall poke his nose after turkeys without old Di along... Our plan, therefore, was to start shortly before day; try to find them on their roost; and, failing in that, to let the dogs strike their scent where they alighted from roosting, follow it up; flush, chase, and scatter them; and then build blinds and call them up... thus, I was to range out for their scent, and, finding them, bark, rush into their midst, drive them in as many directions as possible, and then hurry back to master, wait until he built his blind, creep into it with him, and lie as still as a mouse until he fired. But it was part of his business to handle and work the yelper, and unless that is done scientifically the other labor is all in vain; for when a turkey discovers the imposture he never returns. Young turkeys are the silliest things in the world; but an old mother is the cleverest of birds. If the hunter can kill her, he has nothing to do but wait and call, and the young ones will come in, one after another, to the most apparent false calls. But unless... The greater part of my turkey hunting was done with Dr. Armistead Taylor, with whom I often spent weeks or months. He handled his turkey-call with more skill than any of our circle. In Pre-Columbian Mexico, the Aztecs reportedly fed 500 turkeys a day to carnivores in the Emperors' zoo. They also sold a meal of dog meat layered with turkey on top and covered with a sauce in their markets. Hyaluronic acid is extracted from cockscombs (and umbilical cords) and are used for beauty cremes, in therapeutical treatments to relieve pain from osteoarthritis of the knee, and a number of eye surgeries. Many people feel that turkey flesh, particularly breast meat of the modern American strains of Broad-breasted Whites are bland and tasteless when compared with the taste of wild turkeys... When muscles (such as the legs and thighs of a turkey) are exercised, their oxidative fibers store lipids (fats), their metabolic fuel, which permits extended use of those muscles. This turns the meat darker and juicier than white meat, which is composed of little-used muscle. Hence, the enormous breast of a turkey contains little fat. More interesting history from the book.